The cast of ‘Quartet.’ Photo courtesy of Colonial Players of Annapolis. The Colonial Players of Annapolis is currently presenting a tuneful production of Ronald Harwood’s “Quartet,” despite a script that hits a few sour notes. Set in a home for retired opera singers in Kent, England, “Quartet” is about friends who sing to their own tune as they prepare to perform in a concert to celebrate Verdi’s birthday. Drama arises when Jean, who used to be married to Reggie, arrives at the home. Overall, ‘Quartet’ has timeless messages about love, friendship, and the importance about coming to terms with your past in order to live fully in the present. 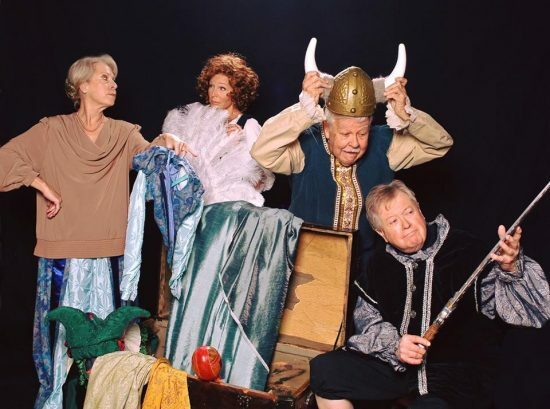 Directed by Darice Clewell, the quartet includes Reginald Paget (Played by a grumpy and lonely Richard Wade), Cecily Robson (a somewhat daffy, yet happy Nori Morton), Wilfred Bond (Edd Miller as the quintessential dirty old man), and Jean Horton (Marti Pogonowski as the hoity toity ex-wife of Reginald). The experienced ensemble does a fine job of establishing each of their characters. While most of the dramatic portions of the play are performed on point, some of the jokes could use some better comedic timing. During the course of this play about growing old and trying to stay young, we are entertained by Reggie’s ongoing battle to get bloody marmalade with breakfast, Jean’s diva outbursts, Cecily’s wandering memory, and Wilfred’s out-of-control libido. The play gets even more interesting when Reggie, Cecily, and Wilfred scheme to perform for the concert in a way that isn’t exactly kosher. Will Jean decide to sing in the concert, or will her diva attitude prevent one final encore? What I like about Ronald Harwood’s writing is how he carefully reveals secrets about each character during the course of the play. What I don’t like is how the character Wilfred sexually harasses Cecily without negative consequences. Many of the jokes told by Wilfred didn’t make me laugh. Instead, the “jokes” made me uncomfortable. 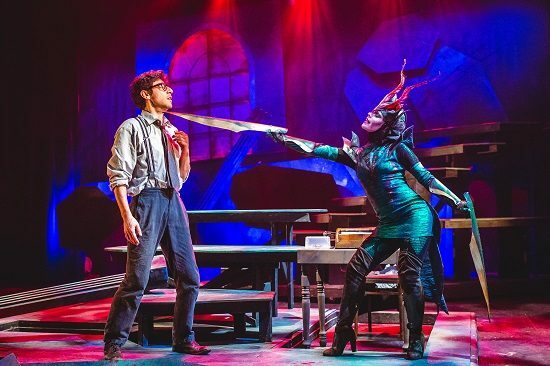 The production is enhanced with lighting design by John Purnell, sound design by Jim Reiter, properties design by Joann Gidos, costume design by Fran Marchand and Paige Myers, and set design by Doug Dawson. Overall, “Quartet” has timeless messages about love, friendship, and the importance about coming to terms with your past in order to live fully in the present. Running Time: Approximately 2 hours and 30 minutes, with a 15-minute intermission. “Quartet” plays through February 4, 2018, at Colonial Players of Annapolis – 108 East Street in Annapolis, MD. For tickets, call the box office at (410) 268-7373 or purchase them online.